Laura DeLuca To receive SITEWIDE $5 SHIPPING on $49 or more, enter Promo Code: E180303 at checkout. These offers are valid for new orders placed within the time frames stated above. Does not apply to previous purchases, or purchases through our retail stores. Offer excludes Furniture, Wall Art, Drop Ship/Special Orders,Trend & Tradition subscription, Historic Trades® (18th century products), Creamware, Ginger Ale, Ginger Cakes, and Root Beer; please see individual item descriptions for details. No other offers or discounts can be added to these promotions. 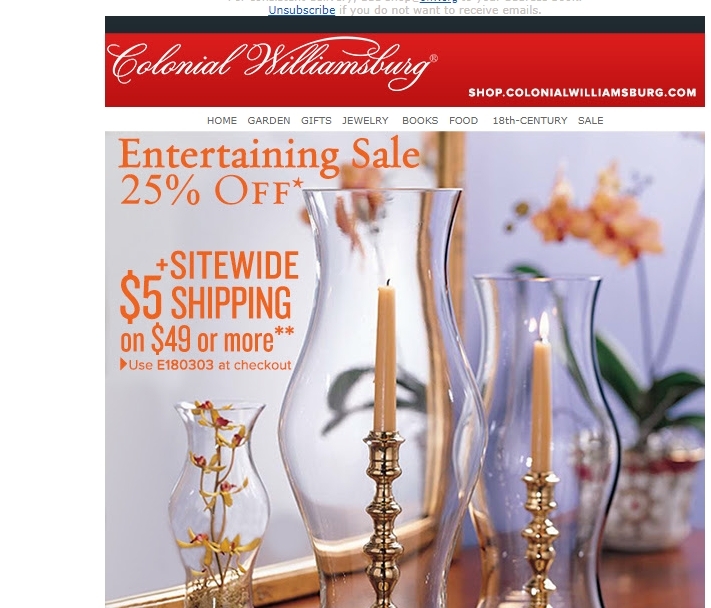 Offer based on products purchased at shop.colonialwilliamsburg.com.